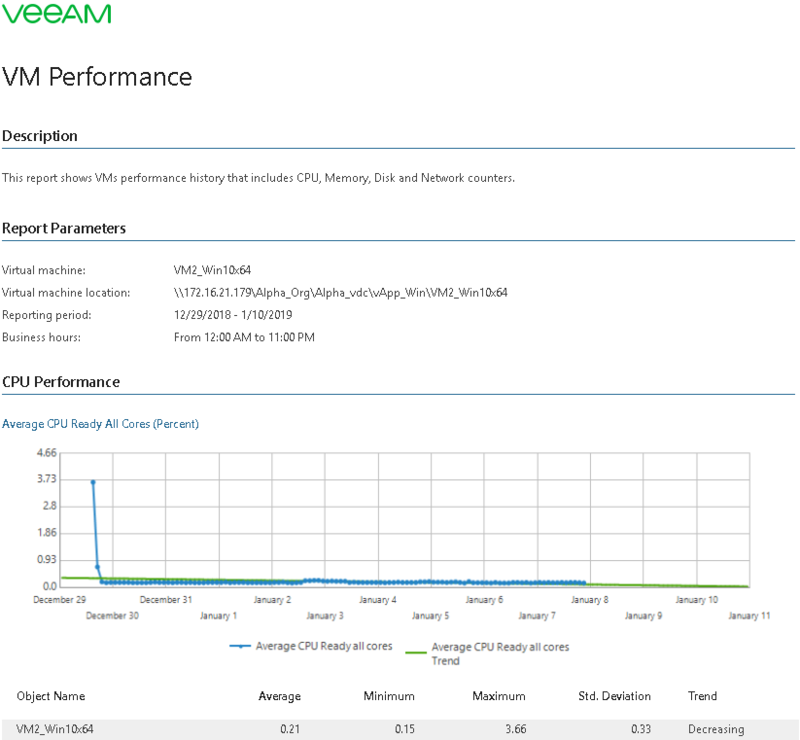 This report aggregates historical data and shows performance statistics for a selected VM across a time range. The report shows statistics on CPU, memory, disk and network usage for the VM and calculates resource usage trend for it. The report allows you to verify that you have provided enough resources to the virtual machine. Object: defines the VM that belongs to your organization and should be analyzed in the report. Interval/Start Date - End Date: defines the time period to analyze in the report. Note that the reporting period must include at least one data collection session for the selected VM. Otherwise, the report will contain no data.